Lots of people have told me: When you’re young, it’s the best time to travel and see the world. When you’re young, it’s the time to work hard and seize every opportunity that comes your way. But hold on, I would find myself thinking, where exactly do I find these “opportunities”? The trouble is not a lack of opportunities for hungry young people, but that not everyone knows where to look, or in fact, what kind of opportunities they are even looking for. I would classify my schooling-self as a typical ‘blur sotong’ in the Singapore education system – most familiar with books and exams, but having no clue how to approach the working world, let alone travelling beyond our borders to experience it. 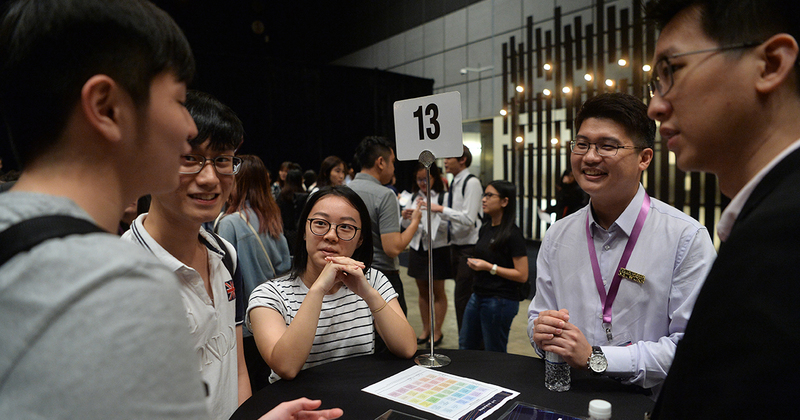 For other confused millennials finding your way, Young NTUC wants to help you get advice from professionals in the industry about things like the latest technology development that might affect the way work is done, opportunities both locally and overseas, and types of skills that you might need to thrive in this digital age. 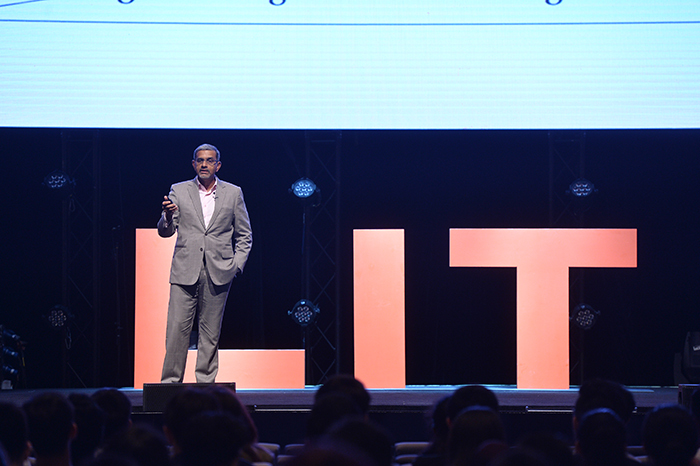 In support of the SkillsFuture Festival 2018, Young NTUC is currently hosting a series of career empowerment programmes, called #LearningIsTriggered, or LIT. On 10 July, we attended the opening event, LIT Xchange, that kicked off the series with a flagship conference and networking session. 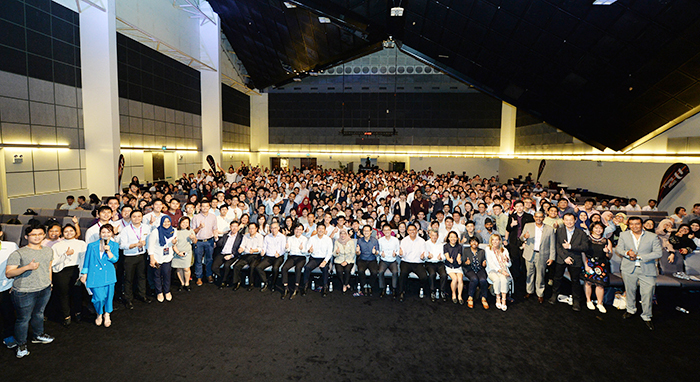 Veterans in their respective fields, Managing Director of IBM, Abraham Thomas, Co-founder and CEO of artificial intelligence company ViSenze, Oliver Tan, and Asia Pacific Senior Vice President of VISA, Anouk De Blieck, shared their insights with around 600 youths at the conference. Participants also spent the evening getting to know 80 volunteer career guides, and had the privilege to fire their burning questions about various industries. We spoke with a few students and young working individuals that evening, and found out what they thought about opportunities to “see the world”. 1. Why did you attend LIT Xchange? I came to find out more about what people in the industry are actually doing, understand the industry development, so I can have a clearer idea of what I want. 2. If you had the opportunity to experience working abroad, would you like to take it? Yeah definitely, I feel that Singapore is a very small country and you don’t really get to meet much people. If I have the opportunity to go overseas, I get to learn from their culture and meet people who might have different mindsets and views on things. So I think working overseas might be an eye-opening experience. 3. Where would you do research and seek advice before making your decision? Right now, I would see if my school has any opportunities, for example programmes or internships at startups overseas. If I really want to look further, I might go to my professors, parents or people who might know of opportunities or peers working overseas for advice. I wanted to find out more about marketing, publishing and fashion journalism, because that’s one of my passion. I hope to start my own magazine company one day. I’m currently self-taught and have never taken any course on writing, I do consult my lecturers about writing techniques, but I came to seek more guidance. Yes of course. I know fashion is not one of the best markets to be at in Singapore, so I have thought of going overseas after I graduate to find companies I can learn more from. First, my lecturers. They know better than me, and some of them have shared with me that they’ve worked overseas. Who knows, maybe they could link me up with some connections! I’ll research online too! I’m here to find out more about how I can become better at what I do. It would depend on what I would be working on and whether it’s aligned with my career goals. If it is, then yes, I’d go. If it’s just to clock time overseas, then not really. One place would be the internet, to find out more about what the roles are going to be like over there. The other is to talk to my career mentor who I met through a mentorship programme when I was studying at RMIT. My mentor is still willing to provide guidance even though the mentorship period ended, so I can talk to him about what opportunities lie ahead for me and consider my career path. I came to find out more about the jobs available, or other sectors I could go into after I finish my course in poly. Yeah, it’s a different environment and it would train me to adapt better. You get to learn different things from the country you’re in, then you can bring that back to make use of it next time. I would go online and also consult my teachers. They definitely have more experience and I’ll need their opinions on whether its a suitable choice for me. If I knew anybody who experienced that overseas job I want to go for, I would ask them about their experiences too. Many young people we spoke to said they would turn to someone they look up to if they needed advice. Not all of them currently have someone they could call a career mentor, but would appreciate the knowledge they could tap on from a person who has been through more. Out of over 80 career guides from across a variety of sectors like accounting, education, business, technology, and public service, we met two who shared their experiences working overseas. 42 this year, Jim Lim is the Global Senior Director for the Group Chief Transformation Office at Huawei, and he first worked overseas in 2004. Back then, he was a young man in his twenties, working at leading American consulting firm Accenture, and watching senior colleagues getting sent on projects overseas. He wanted to experience that for himself, but his bosses needed him to stay to support many local projects in Singapore. “So I fought hard for it and said [to my boss] that for my career growth and personal development, I wanted some overseas experience,” Jim shared. When a local project he was on was completed, he got his chance to be sent to Nanjing, China, for a year. Since then, Jim has gone on to work for Indian, British and Israeli companies. Even now, based in Singapore for his position in Huawei, he still spends months away working on international accounts. 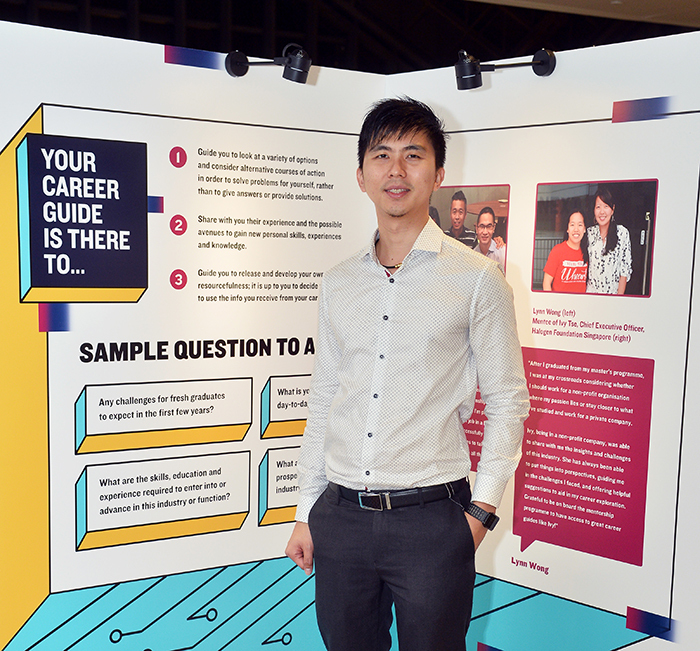 For 31-year-old Timothy Ho, ASEAN Chemical Account Manager at ExxonMobil, he gained his first overseas work experience thanks to a superior who wanted him to learn more. Eventually, he was sent to France to work for a year, and even seized the opportunity to do his masters while he was in Europe. He said the experience opened his eyes to how other cultures work and think differently, and it could be seen in the way they design and engineer things. While Jim and Timothy had to consider factors like adapting to climates abroad and being away from their families, they both say they gained a lot from the exposure. 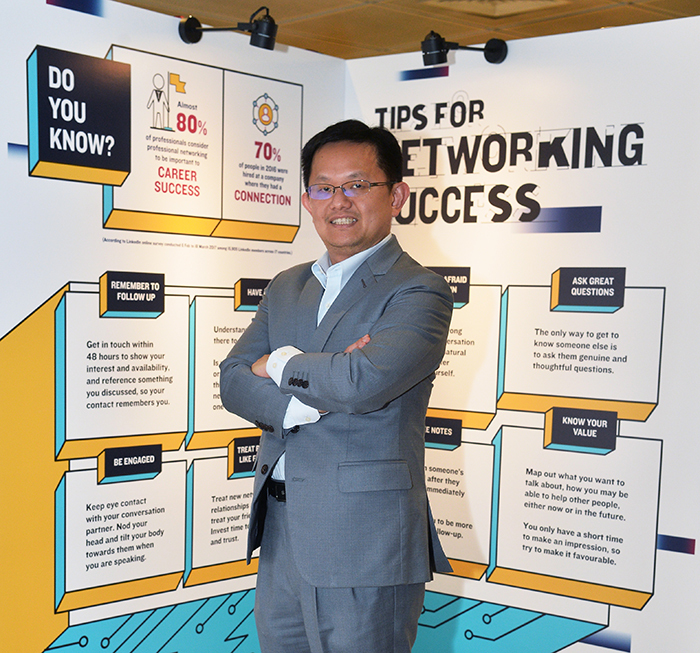 “When I was being headhunted to come back and work in Singapore, one of the things they were looking for was overseas experience, so it gave me a direct advantage,” Timothy said. 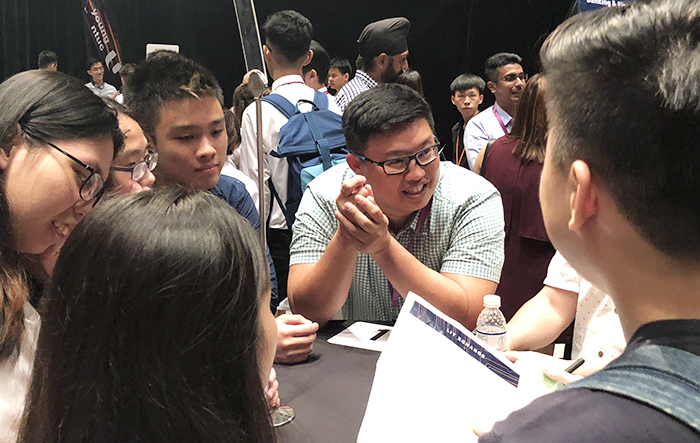 Jim’s rich experience now gets him frequently invited to mentor and speak to young people at his alma maters, Nanyang Technological University and Hwa Chong Institution. For people who are worried about adapting, he suggests starting by working in a company with people from diverse cultures within Singapore first before venturing abroad. Timothy also encourages young people to be open to exploring, saying that companies rarely base themselves in just one country these days. “Be open about change, because you never know what will happen tomorrow,” he says. The LIT series continues with more career programmes and learning journeys until 1 August 2018. On 24 and 25 July, LIT will be organising a Career Discovery and Career Mentorship session, and you can go down to explore your possible careers, understand yourself better, learn more about the industries and get connected to mentors. Learning journeys will be held on 30 July and 1 August, taking you into IBM and Microsoft to learn about their innovation and success in the tech industry. To find out more about LIT and its full range of programmes, click here. This article was written in collaboration with Young NTUC.